Search engine advertising is more than just a buzzword. It’s a powerful way to drive traffic to your business. However, there’s a bit of a learning curve that keeps many businesses away from this area of online advertising. What exactly is Search Engine Advertising? 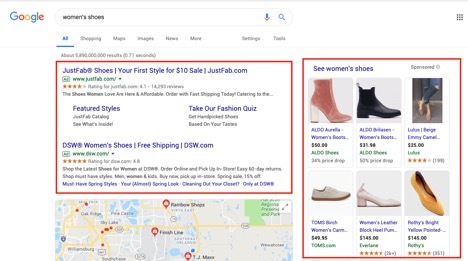 Also commonly referred to as paid search, this is how websites get their ads to appear on the search engine results pages (SERPs). Any time you search for something online, you’re engaging with search engine advertising. It’s a highly effective way of getting your content in front of the right eyes. In this guide, we’ll take a closer look at how search engine advertising works and how you can use it yourself. First, let’s define how paid search works. It’s a type of digital marketing allowed by engines like Google and Bing in which advertisers display ads in search engine results. These work on a pay-per-click (PPC) model. That means you pay only when someone actually clicks on your ad. This makes it an affordable option for growing businesses compared to other forms of advertising. Paid search includes different formats like text ads or shopping ads. They’re either shown at the top or the bottom of search engine results. People are constantly searching on search engines for new products, services, and businesses. Appearing on the top of these listings organically isn’t always possible, so paid search is a way to guarantee visibility. In 2017 alone, $92 billion was spent on paid search and this number is only growing. Click – This is whenever a user clicks onto your ad. Impressions – Whenever your ad is shown, even if the user doesn’t view your add (for instance, they don’t scroll to see your ad at the bottom of the page). Click-through rate (CTR) – This is the percentage of impressions of your ads that actually results in clicks. As you can imagine, the higher this rate, the better. Average cost-per-click – How much does each click cost on average? Conversion rate – How many users who click your ad actually complete the conversion, whether that means making a purchase, signing up for your email list, or some other action. 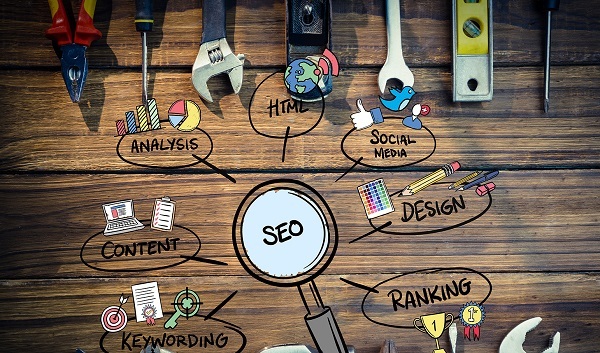 Now, you’re a budding expert on paid search. As long as you know these terms, you’re ready to start the process of search engine advertising on your chosen platforms. How to Start Search Engine Advertising. Most paid search platforms work in the same way. 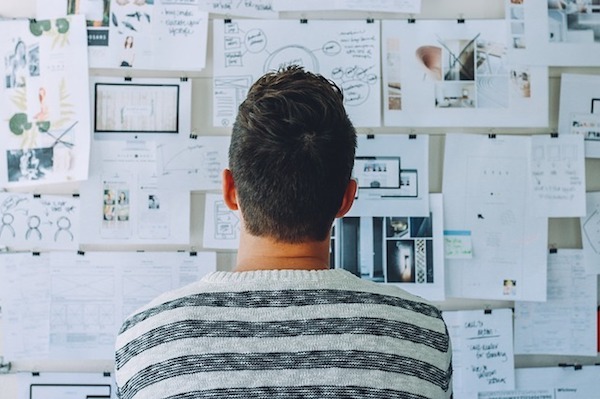 You’ll need to start with research about your own target audience to give your campaign as much chance as possible to succeed. If you don’t know who you’re trying to reach, it will be hard to find your audience in your search results. You’ll want to start by choosing your location settings. You have the option to limit your ads to specific countries, cities, and even zip codes. This is particularly valuable for small businesses and in-person businesses based in a community. Next, choose your keywords. This is where Google’s Keyword Planner really comes in handy. With this free tool, you can discover the best keywords that people in your audience are actually searching for. Then, you’ll know how much each keyword will cost per click. Exact match keywords will match for the exact word or phrase while phrase match keywords will trigger similar keyword searches as well. Making the Most of Your Digital Marketing. While paid search shouldn’t be used in place of search engine optimization or SEO, it’s a great way to supplement your digital marketing. Getting in front of the right audience is worth its weight in gold. Using paid search is the best way to do just that in a targeted way. This guide shared the basics of paid search advertising so you know the best ways to approach this process. Paid search takes some time to master, but as long as you’re persistent and pay attention to your results, you can make it work for you. While we all solve problems, managers and consultants are professionals — they’re hired and paid to do so. Iconoclastic management scholar Henry Mintzberg, one of the first to study what managers do, found they spend much of their time solving problems. Leadership consultancy Zenger Folkman recently surveyed over 300,000 managers and found that problem solving was the second most important competency, regardless of function or level. Though experts are better problem solvers than novices within their areas of expertise, when they tackle problems outside their expertise — or when conditions in their fields change — they often perform like novices. Or worse. 1. Think like a consultant. Consultants aren’t immune to bias, but, as outsiders, they don’t have a vested interest in solutions and recommendations. Being neutral doesn’t eliminate biases, but it does minimize the political and financial pressures that make them worse. Consultants work in teams and are trained to challenge each other. The core values of top consultancies, for instance, include a “non-hierarchical atmosphere” and the “obligation to dissent.” These guiding principles help ensure that colleagues will call out team members who may be blind to their own assumptions, worldviews, or long-held beliefs. The Problem-Solving Approach of Consulting (PSAC) teaches consultants to follow a disciplined process for all problems. First, develop a well-specified statement of the problem. Next, use theoretical frameworks and logic to structure the problem by decomposing it into all possible solutions. Third, conduct analyses of the potential solutions to identify the most impactful and feasible option. Finally, sell the solution to stakeholders by starting with the recommendation followed by the supporting rationale for it. Corey Phelps is a Professor of Strategy and Associate Dean of Executive Education at McGill University. 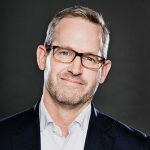 For over 20 years, he’s conducted award-winning research on corporate growth and traveled the world as a keynote speaker, corporate trainer, and consultant, helping organizations become more innovative and strategically agile. He is the co-author of “Cracked it! : How to solve big problems and sell solutions like top strategy consultants“. So, you want to improve your time management skills? That’s great! Fortunately for you, it’s not that complicated. Here are some of the most effective time management tips, tools, and techniques that you can use when faced with many of life’s challenges — big or small. Audit your own time with apps. Quit second-guessing your window for availability. When it comes to time management, you first need to discover where your time actually goes. Planning is great, but if you are allotting 30 minutes to catch up on your emails before heading into a meeting, and you end up spending more time than you’ve set aside, you will need to come back to your inbox (where you will likely have even more new emails) to complete your original task. Thirty minutes can turn into two and a half hours very easily. Track your daily activities and reference insightful reports to learn where the bulk of your time is spent — and adjust accordingly. RescueTime — a great tool for discovering your perfect idea of work-life balance, RescueTime helps you to better understand all of your daily and weekly habits so that you can pinpoint areas of weakness, thereby strengthening your focus while becoming more productive with each new challenge. Toggl — one of the best tools for managing personal and peer productivity, Toggl offers a simple time-tracking interface that gives you the power to assign tasks to projects and clients. As an added bonus, you can arrange to receive an optimal reporting invoice at the end of your completed tasks, not to mention the convenience of having Toggl integrate seamlessly with other popular team collaboration tools like Trello and Asana. Hours — functionality at its finest. With Hours, you can start and stop timers as needed by way of its sleek and user-friendly interface. The helpful “Timeline” feature allows you to monitor and quickly fill in any gaps in your time-tracking in order to fully account for your day. Messages sent as courtesies, or those which require no action should be archived right away. Messages requiring a basic response can be knocked out then and there — and then archived right away. Messages requiring a certain level of consideration or thought can be reserved (read, then mark as unread) for later in the day. Or, snooze it to a time and date when you will be able to devote your full attention. This way, the message is out of your line of sight, no longer a daily distraction, but pops up when it is most convenient for you. Time management tools — at the office. Productivity at work is one of the keys to success. In order for organizations to thrive—no matter their size—it is important that they have solid, cohesive teams producing quality work. And the best way for keeping teams engaged is by ensuring that they are managing their time. More and more online time management tools are produced each year while existing platforms continually make improvements to their current features. Hubstaff — manage the productivity of remote employees by placing time and spending limits on projects, while also scheduling attendance and monitoring general activity. Additionally, Hubstaff’s time-tracking functionality guarantees that payments to clients, freelancers or full-time staff are sent and received on time. ClickTime — a dynamic and efficient platform for tracking working hours, department budgets, vacations, and project performance, allowing users to plan and record expenses associated with project development to ensure that teams do not overspend. 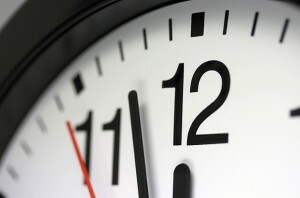 Manage your time AND money effectively. TimeCamp — never lose sight of how employees spend their days. Monitor ongoing projects, set long and short-term goals, track vacation days and holidays — even allow employees to monitor themselves, managing their own productivity so that work seems less like work. There is nothing like adhering to a good old fashioned to-do list. And the reason we still adopt this age-old method of time management is that, well, it actually works, provided you do not simply bypass unwanted tasks. In addition to keeping you focused, a to-do list will spur you on and motivate you to want to physically check-off all of the day’s grueling chores, errands or goals. Once you have completed tasks, give them a special shout-out by writing them out in full underneath your remaining “to-do” items, or carry them over onto tomorrow’s list. This positive reinforcement is helpful to have as a quick reference during those rare moments when you experience feelings of defeat. Tackle the big jobs first. Though it might not seem like it at the time, we actually experience our greatest outputs of energy first thing in the morning. If you know that you have got a laundry list of tasks ahead of you that day, always try to tackle the most challenging ones first. By doing so, you will alleviate a significant amount of stress that may otherwise prevent you from completing the smaller items on your schedule. Yes, this is meant to be a list of tips for helping you manage your time more efficiently, but hey — even superheroes have sidekicks! Delegating projects can be challenging, so if you are on a deadline and can’t afford the time to show somebody else the ropes, you might want to skip this suggestion. If you are able to relinquish control of your own list by outsourcing to another pair of capable hands, you can consider your time saved. Just don’t get too comfortable with this method, as people might misinterpret your motives. This has to be one of the most common missteps out there. In this day and age of constant movement, technology, and responsibilities, it is so easy to fall victim to one of countless distractions. If you are trying to balance your checkbook and, for no reason at all, feel the need to stop and pick up your cellphone for a quick browse through your newsfeed — don’t! Stay engaged with the task at hand and place distractions — objects, items, even people — out of sight until the work is done. We have all been there. It’s a busy day at the office and you are jumping from one meeting to the next, hoping to flag down important colleagues or grab lunch during the tiny window of free time in between. This is not a good look! 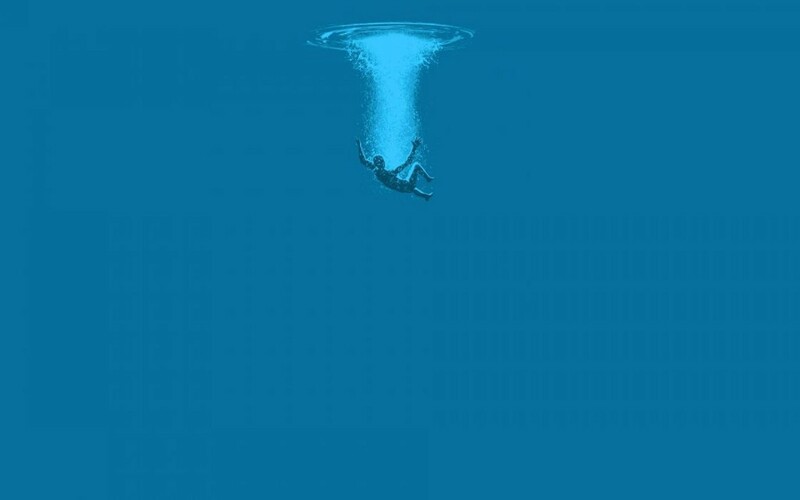 Before you hop onto a new task, however insignificant it may seem, always remember to leave yourself some time to regroup, reassess and, above all, recapture all of your recently expelled energy. And it’s not only useful at work—this can be helpful when doing something as simple as reading a new book. Before you start, consider digesting. It is no use tackling a new project if you are still mentally clinging to the previous one. Clear your mind, and often. No matter how efficient your time management skills may be, you cannot do it all without occasionally freeing up some headspace. There is a reason why so many of the world’s most successful leaders practice meditation — because it works. Despite the research supporting its positive claims of mental acuity and revitalization, meditating physically allows you to pull yourself into the present. For just a few minutes a day, you can exclude yourself from the chaos, close your door and just breathe. You don’t even have to close your eyes or sit, cross-legged, on the floor. The goal of meditation is to re-center yourself so that you can perform to the best of your ability — even if performing that day includes sitting down to put together a puzzle. Instead of completing your tasks only half engaged, meditating will drastically improve your work quality and time management. Learn to say “no”, and often. Declining a night out with your old college roommate, or missing the birthday of a friend of a friend of a friend when you genuinely have too much on your plate does not make you a bad person. It makes you an efficient person who knows their own limits. Learning to say “no” is best applied when you cannot further break down your time without the risk of one task suffering. Own it. And don’t be ashamed to use it. Stay productive — even in your downtime. Chances are if you are reading this article, you don’t like wasting time (or, you are good at wasting time and want to do something about it — either way, you’ll enjoy this tip). If so, consider all of the times you have found yourself thinking, “I’ve completed my checklist for the day. What am I going to do with all of this free time?” While a period of lying about in front of the television may certainly be appropriate, you shouldn’t feel that this is the only way to unwind. If you happen to find yourself in between periods of activity — waiting for an important email to come through, or your kids to arrive home from school — try to fill it with an activity that helps, not hinders, your productivity. Get a jump on next week’s tasks, get around to fixing that leaky faucet, or listen to a podcast. Allowing your brain to rot during downtime sets a dangerous precedence. So keep it active. If you are managing your schedules with apps, you should already be able to assess how you are spending (and/or wasting) time. Those opting for a more human approach would be well advised to try exercising some restraint. By putting a cap on the amount of time you spend on any given task, you better prepare yourself for similar tasks in the future. Training yourself to recognize when you are overdoing it is not only a valuable time management strategy, but it can also have more far-reaching effects you may not even notice. Everybody hates Mondays. It is almost always a challenge having to readjust to a five-day workweek schedule having just spent the past two days thinking and doing everything but work. But you can stay ahead of Monday-brain by putting together a timetable beforehand that will help you focus on your workplace priorities. Spend a few minutes on Sundays to build a strategic plan that covers projects and tasks — big and small — for your entire week. Break down weekly goals into compartmental daily tasks; arrange to tackle the not-so-important items during periods of low-energy and downtime. And while we all love Fridays, these should be days spent planning and networking. Don’t check out! Instead, check-up—follow through with emails and phone calls, and reach out to co-workers or management to ensure that nothing is outstanding before the office empties for the weekend. It’s overrated! Perfectionists are often hindered by feelings of self-doubt or unreasonably high standards, so they often miss deadlines. All tasks are not created equal, however, despite what you might think, or what you have been taught, oftentimes if you give your best to a task, your best is good enough. Freeing yourself from such a toxic and unhelpful mindset is one of the best methods of self-realization and productivity — so go ahead and give in! There you have it! Now that you know some of some the most effective time management techniques, choose one to work on. Once you’ve mastered one, move on to the next one — and don’t forget to check it off your list. 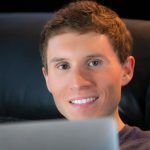 Serial entrepreneur Cody McLain started his first business, a web hosting company, during high school. Today he runs SupportNinja, which currently services many high-profile clients globally. Cody employs a global staff of over 500 employees; the company earns over $4 million in annual revenue and continues to grow each year. He has written a book, “From Foster Care to Millionaire: A Young Entrepreneur’s Story of Tragedy and Triumph” which he hopes will inspire others who were dealt a tough hand. Nowadays, with growing concern for the environment, many businesses want to create a greener working environment. The internet of things (IoT) technology has all the potential for creating a more sustainable workplace, as it connects multiple parts of the system and operates with an analytical approach. 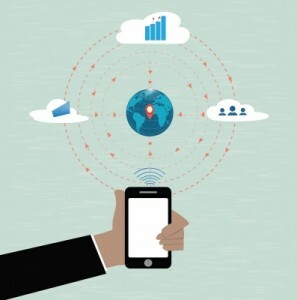 IoT gives the possibility to connect devices within a company’s networks so they can interact with each other, provide the necessary information, and optimise processes. IoT can be the system of a wide range of devices and tools, connecting anything from coffee machines to the dashboard of a company car. However, as this technology expands and more devices become interconnected, this can noticeably increase energy usage. That is why it is needed to ensure that the electricity consumption of IoT systems is covered by renewable and low-carbon energy sources such as solar panels. Despite that, there are good reasons for adopting smart office technologies. With the help of IoT, offices can increase productivity, employees can focus on more important tasks, and the work environment can be safer and more comfortable for them. Here are the different ways businesses can benefit from IoT in their daily operations. Commercial buildings like offices can use IoT to reduce their resource consumption and maintenance costs, as well as increase their operational efficiency and customer satisfaction. Interconnected devices can give the possibility to control almost everything in the office starting from lighting to heating and water supply. Picture the following scenario: many offices employ a large workforce and in order to fulfil the drinking water consumption, a number of water dispensers are placed throughout the building. With the advantage of technologies like IoT, there is no need for constant checking of bottles as the management of water dispensers becomes smart and easy with the system alerting the maintenance personnel when needed. The system monitors the water dispensers with sensors and compares it with the water level of other machines. Then it informs the administrator directly about the level left in the dispenser who can instantly replace it. From that output, administration will now know how fast the water level is likely to change from one percentage to another and how soon the water in the bottle will be fully empty. This will allow to predict future consumption and manage the delivery of water bottles in a more efficient way with reduced HR costs. Open and integrated systems are creating new opportunities for businesses to use their data, allowing working smarter — not harder. Through the use of IoT solutions, businesses can analyse which areas have no success, specific trends that the company may benefit from, or ways to decrease costs. Instead of collecting information from different departments, with the help of IoT, management can instantly obtain up-to-date information about what is going within the company. In other words, IoT enables centralising database according to business needs, which later allow identifying operational problems in order to react in the shortest possible time. Connected devices and sensors can help predict future failures and effectively use the company’s resources towards maintenance, or even react to emergencies without human assistance. For instance, businesses can spot any asset in the office starting having problems and immediately repair it avoiding downtime. If there is a power failure, IoT can also automatically back up power to keep any important assets in the office running. With the help of IoT, businesses are able to collect an enormous amount of data. This data can help optimise products and improve the overall value provided to the customer. Additionally, by using IoT, companies can track the performance of their products more closely. Based on this information, businesses can easily find potential issues in any part of the supply chain and thus build better product flows. Moreover, the technology could be used to alert customers when maintenance may be required. This can help optimise the operations around the product which, in return, would be beneficial both to customers and to the company, as it improves product performance and utility as well as strengthens and facilitates closer relationships with customers. Information is becoming a crucial way for companies to outperform their competitors. Integration of IoT systems within business processes give managers the right tools to make rethinking and effectively improving a strategy possible. The right usage of big data can give significant value to the company. With proper analysis of the available information, companies are able to narrow down the customer segment and, therefore, create products or services more targeted towards the end user. In addition to this, IoT can improve decision making, minimising the risk by detecting hidden threats and opportunities in the market. The right usage of such big amounts of data — also for benchmarking purposes — gives the possibility for a business to be ahead of the competition by acting more quickly and making more informed profit-conscious decisions. Without the proper use of the available information, companies are much more likely to experience failure. Last year, world leaders met in Paris to hash out a global climate deal to curb greenhouse gases and prepare countries and communities from the unavoidable impacts of climate change, made so by decades-long feet-dragging and unwillingness to act. While these public solutions are critical to fighting climate change, equally important are the voluntary steps taken by the private sector that have a direct positive effect and show by example that environmental protection and business success need not be at odds. Of course, this list is focused solely on environmental considerations, and is offered without assessment of a company’s treatment of workers, either domestically or in overseas factories. More environmental groups are aware of the intersectionality of movements to support the environment and workers, and I would be remiss if I failed to mention that exciting new work. When you think about green businesses, Japanese electronics company Panasonic probably isn’t the first company to pop into your head. In fact, in 2014, Fortune found that Panasonic suffered the largest perception gap between the actions the company’s taken and what people think it’s done. Sustainability is a key part of the company’s corporate citizenship activities and has influenced everything from energy-saving production improvements to the adoption of recycling-oriented manufacturing. One of the coolest ways Panasonic is walking the walk is with its new North American headquarters. Historically located in suburban Secaucus, NJ, the company moved to a prime location in downtown Newark in 2013. The move was hailed as a key way to revitalize the struggling city, but for Panasonic, it fulfilled a sustainability mission. The company built a new LEED certified tower (gold exteriors, platinum interiors) just blocks from Newark Penn Station, a key transit node for both local and regional transit. This connectivity and transit accessibility has led to a nearly 50 percent drop in the number of workers commuting to work by car alone from 88 to 36 percent. Panasonic’s VP for corporate communications estimates that the move has taken 500 cars off the road every day. Brewing beer can have a lot of environmental downsides, from the energy required to superheat mash to the disposal of spent grain and other waste. Colorado-based New Belgium Brewing Company, the third-largest craft brewery in the United States, is proving that you don’t need to harm the environment to make it big. Being eco-friendly is part of the company’s culture and brand, and it’s made an astonishing number of environmental investments. Solar panels help power the bottling plant; an anaerobic digester processes industrial wastewater into energy to power the brewing process; company-issued bicycles help employees get around the 50-acre brewery site. Beyond its operations, New Belgium has taken a political stand on sustainability too. It was the twentieth company—and the first brewery—to join Ceres’ Business for Innovative Climate & Energy Policy coalition in 2011. Today, 19 breweries have joined to sign the Brewery Climate Declaration in support of reducing carbon pollution. At first blush, you may balk at the inclusion of Walmart on this list about environmentally-friendly companies. But the mega-retailer has made some key sustainable choices that, thanks to its large market share, can have huge ripple effects. Walmart’s 2014 decision to stock products from organic supplier Wild Oats garnered attention and praise for expanding access to organic foods at more affordable prices. That followed a 2013 update to its chemicals policy, which focused on both improving ingredient disclosure and replacing 10 hazardous chemicals with safer alternatives. Even earlier, Walmart committed to exclusively selling sustainable seafood. In addition to the direct impact of increasing sales of organic foods (as of April 2015, Wild Oats organic products were available in more than 3,800 Walmart stores) and reducing sales of products with dangerous chemicals, these policies all directly impact Walmart’s suppliers. Walmart’s support of organic food buoys the industry and creates more demand and sales opportunities for organic farmers. The company’s chemical policy provides a strong incentive for suppliers to adhere to stricter standards or risk losing access to Walmart customers. Apple has a reputation for being cutting edge, a reputation that holds when it comes to going green. Apple’s $848 million energy deal with a solar farm in California enabled the company to power all its operations with renewable energy. A few months later it committed to getting 100 percent of its paper packaging from sustainable sources to protect the world’s remaining virgin forests. Like Panasonic, it too has invested in ways to help employees reduce their commute emissions, with 10,000 employees using the company’s transit subsidy and 2,700 carpooling in commuter buses. Apple’s rejection of climate denialism can’t go unmentioned. In 2009, the company loudly and publicly quit the U.S. Chamber of Commerce over its stance on climate change. Its 2015 Environmental Responsibility Report opens with the line: “We don’t want to debate climate change. We want to stop it.” This bold stance from a globally-renowned company helps bolster support for climate action and sustainable business practices. This is just the latest step in a long history of eco-friendly investments the Swedish furniture giant has made. The installation of rooftop solar to power the company’s new St. Louis, MO, store is the 42nd such installation in the United States, and the company has also entered the residential solar market. In addition to buildings, Ikea has greened many of the products it sells. It introduced a vegan version of its famous Swedish meatballs, a nod to opposers of the environmentally intensive meat industry. In September 2015, Ikea announced its plan to sell only certified seafood. That same month was the first that 100 percent of its cotton was sustainably sourced from farmers who use less water, chemicals, and fertilizers. All that’s just the tip of the company’s green efforts. IBM has been a leader in sustainability for decades, a status recognized in 2013 by the European Union Code of Conduct for Data Centers. In 2015, the company made public commitments to continue its legacy through reducing greenhouse gas emissions by 35 percent by 2020, compared to 2005 levels, while simultaneously getting 20 percent of its global electricity from renewable sources over the same time frame. Perhaps more impressive is the company’s recognition of its influence over its supply chain. With 18,000 suppliers in more than 90 countries, IBM’s efforts to infuse sustainability—including the 2010 requirement that all suppliers have an environmental management program and that they publicly report their progress—have large ripple effects. Unilever has also been lauded for its sustainability commitments, most recently by being top ranked in the 2015 Climate Survey among companies for tackling climate issues, drawn from responses from 624 sustainability experts from 69 countries. More than 20 percent of respondents said the company was the number one contributor to climate solution. The company is already outperforming its targets. As of 2012, all of its palm oil came from sustainable sources, three years ahead of schedule, through the purchase of GreenPalm certificates, an offset program for companies using palm oil. Rather than stop there, Unilever has pushed forward to trace all its palm oil to sustainable sources. As of 2014, 58 percent of the company’s palm oil was traceable, including 98 percent that was sourced for its European Foods business. Although Chipotle has had its share of bad PR of late due to food contamination, the fast-food behemoth deserves a lot of credit for making ethical sourcing not only cool, but profitable. Chipotle released its “Food with Integrity” statement in 2001, which includes sourcing vegetables from healthy soil and meats from farms where animals are pasture-raised and treated humanely. When push came to shove, the company proved it was willing to drop pork carnitas from the menu on one-third of its restaurants rather than compromise on its commitment to responsible husbandry. Chipotle further caused a stir in 2014 when it removed all genetically-modified products from its foods, proving a commitment to biodiversity and natural products. Most importantly though, Chipotle has done all this while making a lot of money. Even while pork stayed off menus, Chipotle posted a billion-dollar earnings quarter in Q1 of 2015. Even a more recent slip in Q3 was not attributed to ecologically-responsible sourcing, but to other costs rising. The clear takeaway is that sustainability and profits need not be at odds—a compelling counterargument to the usual complaints about the effect of environmental stewardship on the economy. Massachusetts-based Biogen has an impressive streak running, capturing the top spot for biotechnology firms on the Dow Jones Sustainability Index two years in a row, and being named the greenest company in the world by Newsweek in 2015. One big contributing factor was reaching operational carbon neutrality, the result of a multiyear effort to reduce emissions. The company’s investments included everything from energy efficiency improvements in its facilities to coordinating with suppliers around achieving environmental goals. This follows becoming virtually zero-waste in 2012 (98 percent of all waste is diverted), achieved through both reducing initial operational waste and finding creative ways to compost and recycle the waste it does create. Rather than resting on its laurels, Biogen set new bold sustainability targets, including reducing both greenhouse gas emissions and water use by 80 percent by 2020, compared to a 2006 baseline. It’s also tackling that last two percent of waste that makes it to landfills and investing in LEED-certified facilities. Don’t be surprised to continue seeing Biogen top lists in years to come. Though ChicoBag, a maker of reusable grocery bags and other products, is not as large as the companies cited above, I would be remiss not to acknowledge at least one company that isn’t just making green improvements to its business, but whose actual money-making model is a green initiative. Plastic bags are a particularly insidious environmental hazard, contributing to the Great Pacific Garbage Patch, harming wildlife that unwittingly consume small pieces of it, and littering our beautiful landscape for the millennia they take to decompose. Plastic bag bans have grown in popularity as more consumers and citizens see the harm of these wasteful containers. ChicoBag provides an alternative and makes money doing it. In line with its business, the company doesn’t use what it calls the “Big 4”–single-use plastic bags, single-use water bottles, single-use cups and polystyrene takeout containers–and has an aggressive, mission-oriented zero-waste program. In 2014, B Corporation made ChicoBag an honoree for Best for the World Environment. Aaron Viles is a Senior Grassroots Organizer for Care2. He works with citizen authors on The Petition Site to create petitions that will win concrete victories for animals, the environment, and other progressive causes. Prior to Care2 he spent decades working within the non-profit environmental advocacy field. Aaron honed his craft while working for Gulf Restoration Network, U.S. Public Interest Research Group, and Faithful America. He began his career with Green Corps, the field school for environmental organizing. When not in front of a screen or on a conference call, Aaron can be found doting on his daughters, pedaling furiously to keep up with the peloton, and serving as a volunteer leader for the Sierra Club, Dogwood Alliance, and his church. How does your business technology spending measure up? What are your business priorities for the near future, and how is business technology helping you achieve them? A new survey by CompTIA has some insights. Top priorities for SMBs in the year ahead include implementing new systems and processes, identifying new customer segments and markets, renewing existing customer accounts, innovation, and launching new products and services. The average SMB in the survey spends between $10,000 and $49,000 per year on technology. More than half (52%) of small business owners feel they are spending too little on business technology, 22% feel they are spending too much, and 44% feel they are spending the right amount. What have small businesses spent their technology budgets on in the past two years? Some 36% of respondents say they have been focusing on infrastructure: laptops, desktops, servers, phones, storage, and the like. (New or upgraded hardware is a top item on respondents’ technology wish lists.) In addition, 31% said they have been spending on industry-specific software, while 30% say their technology spending has focused on both areas. The majority of SMBs choose technology from several different sources, including directly from the technology company, from a primarily online retailer such as Amazon, or from a brick-and-mortar based retailer such as Best Buy. The survey surmises that small business owners conduct due diligence, including researching a source’s product offerings, prices, and reputation for customer service, before making their decisions. But not all SMBs are so optimistic about emerging technology. Almost a quarter (23%) say it’s too early to tell what impact emerging technology will have, and 10% believe it will have a negative impact on their businesses. The biggest challenges small businesses worry about with emerging technologies are the cost of entry (46%), the need for technical training (44%), and the difficulty of identifying the best vendors or suppliers (40%). Finally, the report identifies a new trend: Many SMBs are incorporating technology as a service or product offering for their customers. For example, 52% of professional services SMBs (such as accountants, lawyers, and marketers) offered technology services to customers in the last year, and 30% are considering doing so. This might include an accounting firm reselling software or providing cyber security audits. Among respondents who offer technology services, nearly half say revenue from tech-related activities is growing faster than the rest of the business. You’ve all heard by now that SunContract’s SNC token is an ERC20 token… But do you know what it means to be of ERC20 standard? If not, stick around for a simple explanation on the ERC20 standard. ERC20 tokens are designed and used solely on the Ethereum platform. The Ethereum platform consists of a blockchain that is capable of storing transactions, and a virtual machine that is capable of running smart contracts. Because of these two functions of the Ethereum network, the platform can support the running of decentralised applications (DApps). In return Ethereum charges developers for the computing power in their network — which is paid in Ethers — the main currency on the Ethereum network. Besides Ether, the platform can also support other tokens, including SunContract’s ERC20 SNC token. How exactly do tokens come into existence? A token can be created by a smart contract. Smart contracts are also responsible for facilitating the transactions of the tokens, as well as recording the balance of each token holder. Smart contracts are written in the programming language “Solidity” on the basis of If-This-Then-That (IFTTT) logic. It is important to note that once a smart contract is deployed, it cannot be changed anymore. What is the role of ERC 20 Tokens? Once tokens are created, they can be traded, spent, or gifted to someone else. This typically happens on exchanges. To get your a token listed on an exchange, the exchange has to write custom code so that they can talk to the given contract and allow people to trade the respective tokens. The same thing goes for wallet providers. Supporting hundreds of tokens can therefore be a very complex and time-consuming process for exchanges and wallet providers. Luckily for them, and for all of crypto, the blockchain community proposed the standard called ERC20. ERC20 is a guideline or standard for when developers want to create a token. ERC stands for Ethereum Request for Comments and 20 is the number assigned to the ERC structure. ERC20 Standard defines 6 mandatory functions that a smart contract must implement, and 3 optional ones. The mandatory functions are a bit more complex. First, you have to create a method that defines the total supply of your token. When this limit is reached, the smart contract will refuse to create new tokens. Which has to return how many tokens a given address has. Which can be used to transfer tokens between any two users who have them. Is to allow a specific account to transfer some of my tokens to another account through TransferFrom. Is to check how much was approved. If a developer wants the token to be an ERC20 token, they have to implement the ERC20 interface and that forces them to implement these 6 methods listed above. What are the benefits of ERC20 tokens? Basically, ERC20 standard makes everything simpler. ERC-20 is the universal language that all tokens on the Ethereum network use. It allows one token to be traded with another. Before the existence of ERC20 Tokens, everyone who wanted to create a token had to reinvent the wheel. And that meant that exchanges and wallets had to write different custom codes to support the token. With ERC20 however, exchanges and wallet providers only have to implement this code once and that is why exchanges can add new tokens so quickly. ERC-20 also makes the creation of new tokens very easy, and that is why Ethereum rose to become one of the most popular platforms in the world. 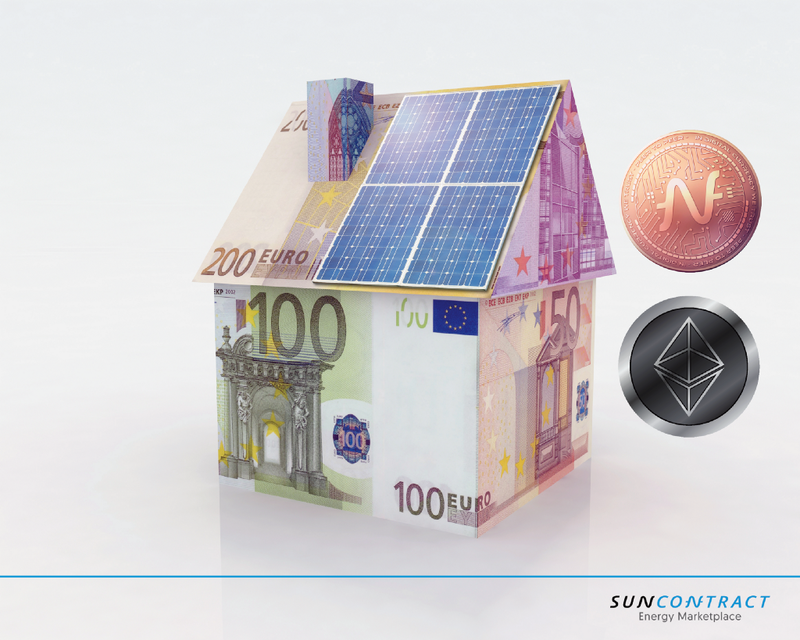 The SunContract team is always looking for ways to work efficiently and smartly. Working with ERC20 standard meant that it would be much easier to create the tokens and begin implementing the project on the blockchain. Moreover, it would reduce the workload for exchanges and wallet providers, making it that much easier (and quicker) for us to get listed should an application for listing be approved. ERC20 is a great standard that has propelled the use of tokens, and while it is not perfect, it has contributed significantly to the disruption of inefficient business models, and in so doing paved the way for newer technologies and more efficient systems. The Innards of an ERC20 Token was originally published in Hacker Noon on Medium, where people are continuing the conversation by highlighting and responding to this story. “People trust us to allow them to sleep safely and securely. There’s a longstanding tradition of an innkeeper, that we fulfill that commitment to them. Has it extended naturally, with the same diligence, to the digital environment? Not always.” — John Burns, President of Hospitality Technology Consulting. Cyber attacks on hotels are particularly prevalent because of the vast amount of personal data stored, with PwC’s Hotels Outlook Report 2018–2022 indicating that the hospitality industry suffers from the second highest number of data breaches across all sectors. All of us in the hospitality industry must comprehensively scrutinize every aspect of other companies prior to the acquisition, including data handling and cybersecurity processes. And the same goes for all technology brought on board, such as new applications and systems. Due to rapid tech advancements, effective security measures require constant and consistent attention if we’re to stay on top of the game and one step ahead of malicious hackers who attempt to compromise the security of our data storage. The modern hotel relies on data storage and tech systems for virtually every aspect of operations. While the benefits of advanced technological solutions are incredible, these products open up the hospitality industry to the extraordinary potential for the exposure of cybersecurity vulnerabilities. 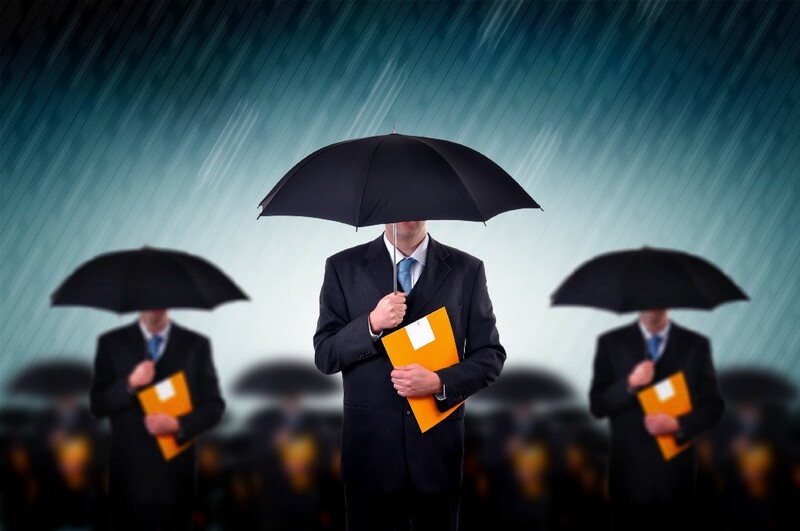 Any mistakes in the setup or management of a company’s systems can lead to disastrous cyber attacks, including the leak of massive amounts of highly confidential guest data through even just one breach. Unfortunately, while some hoteliers may believe that their systems can arrive in a guaranteed state of security, the reality is a far different story. For example, a flaw as simple as a weak admin password can result in an entry point for hackers, as can insecure remote access or software that isn’t completely up-to-date with the newest security patches. Therefore, the onus remains on the hotel brand to maintain its systems with the utmost care and attention to every detail to avoid malware infection, ransomware installations, and other highly destructive security breaches. Is every hotel PCI compliant? Unfortunately — and I write this with a bit of shock — some hotel brands still fail to meet full compliance to the set of standards that are intended to ensure that all companies that accept, process, store or transmit credit card information maintain an environment that is protected from compromise. The lack of comprehensive security measures may also extend to gaps in following the conventional procedures to destroy data once it’s used, furthering the potential for credit card information to be accessed by hackers. What’s the Number One Concern Keeping Hotel Group CIOs Up at Night? was originally published in Hacker Noon on Medium, where people are continuing the conversation by highlighting and responding to this story. With Initial Exchange Offerings (IEOs) rapidly emerging as a popular crypto fundraising scheme, here a look into where the ICO market is heading. Since the beginning of 2019, the crypto funding terminology of Initial Exchange Offering (IEO) is buzzing all around the cryptocurrency market. IEO is quickly catching up as the next popular fundraising schemes with the ICO industry being largely plagued with scams and fraudulent players. As the name suggests, Initial Exchange Offering is the method of selling crypto tokens over an exchange platform. Thus unlike ICOs which requires token issuers to directly approach investors, the exchange platform acts as an intermediary to between the token issuers and the investors. In comparison to an ICO, IEO comes with its own set of advantages. Also, with an IEO the chances of token issuers scamming investors are less. This is because the onus lies on the exchange platform to verify the authenticity and genuineness of the token issuers as well as the investors. Thus, IEOs are considered as a more genuine way of fundraising and the shift in the market trends are already visible. The IEO market boom has kicked off only this year in 2019. Since the beginning on 2019, a total of 23 IEOs have taken place raising over $180 million, as per the Bloomberg report. Will IEOs Take Over ICOs? So the most pertinent questions is that will the rapid emergence of IEOs cast a complete shadow on the ICO industry. Well, not really! While IEOs appear to have a regulatory edge over ICOs, the situation is certainly not very gloomy. 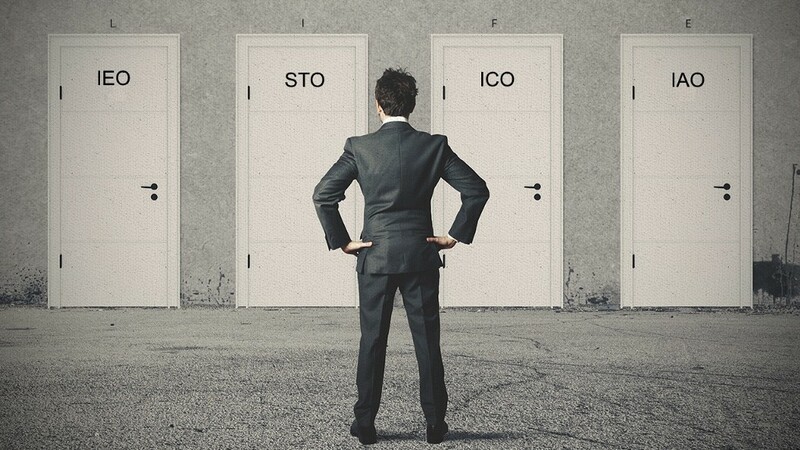 In fact, reports suggest that regulators from jurisdictions consider both IEO and ICOs to be the same. The regulators view the exchanges conducting IEOs as third-party intermediaries between the token issuers and the investors. Besides, each exchange takes some commission from the token issuers by receiving the project tokens. Thus, it is bound to attract regulatory attention. Furthermore, some exchanges conducting IEOs push their own native tokens for fundraising. The exchanges also ask IEO token issuer to have a huge balance of the exchange’s native token in order to participate in the sale. The irony, of course, is that this is directly at odds with the decentralized ethos embedded in crypto, but this has been conveniently ignored as long as it’s working. Furthermore, the fundamental principal of ICOs was to free crypto startups from the stranglehold of VC funds. But with IEOs the exchanges can very well act like VCs going in the long-run. 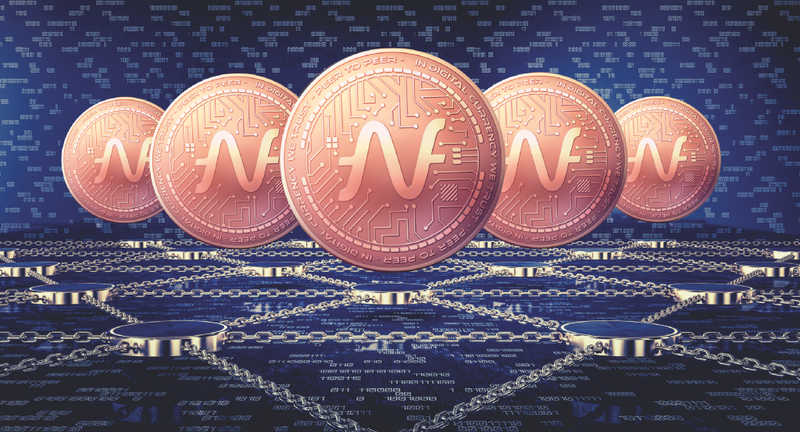 So, despite the IEO market buzzing the crypto market, the possibility that ICOs will completely turn non-existential seems to be very less. Some smaller crypto companies still prefer the ICO mode of fundraising while selling their tokens only to a selected group of few investors. An illustrative example is Toyken project, which plans to launch its native cryptocurrency ‘Toyken’ in the market by the next month of May. The project plans to conduct its token-sale through ICO with the business operation of B.A. Toys involves HODLing and stocking up toys and sell them in the market when their competitors go out of stock. Thus some small and new crypto startups who don’t want much regulatory attention still prefer to raise funds through the ICO model by directly approaching the market investors. Are ICOs Completely Losing the Game to IEOs? was originally published in Hacker Noon on Medium, where people are continuing the conversation by highlighting and responding to this story.